While biking, walking, jogging or driving down Second Avenue in Detroit’s burgeoning Midtown neighborhood, take a quick detour through our alley and find yourself in one of the city’s most enchanting and unassuming destinations: Alley Wine! Alley Wine is Detroit’s latest casual neighborhood watering hole, with the initial operating hours of 3:00pm to 12:00am, Thursday through Sunday. The bar will specialize in offering an affordable and rotating selection of wines from around the world, as well as a sampling of meat and cheese pairings. Occasional unplugged performances by local musicians (our liquor license permits a maximum of ―two entertainers at one time) will contribute to the venue’s relaxed ambiance, without impeding conversation or interfering with the educationally-oriented customerservice sought by those wishing to learn more about wine culture. In addition to our bar and food service, we also plan to supplement our revenue by retailing wine, beer, cheese, salami and other menu items. There’s a misconception that because our partners have a proven track record of operating successful businesses, and that we own our property outright and debt free that we don’t need the contest prize money. The prize money will contribute substantially to our start-up costs, however realizing our total vision for the building, our inventory, the property, and the alley will require considerable additional investments that will come from not only our partners but a mix of private investors, other micro loans, and hopefully the Hatch prize. From an aesthetic standpoint, we can see some similarity in terms of exterior ambience of what we’re trying to achieve in La Dolce Vita. During the warmer months of the year, a lot of our business will be focused on using and promoting our outdoor space. However in terms of product, service and mix of programming and events, we really think that we’re offering something unseen in the region. We own our building/property outright with zero debt. We’re not operating in a retail space where the rent is being subsidized so that the “numbers work”. We’ve done our homework, and we’re half-way through our legal and other restrictive hurdles towards opening. We’ve completed our A/E work for the project. We have our supply chain hammered down. We already have people driving by our site asking where the bar is, when will it open. We have people calling us asking us how to get to the bar. We’re creating a place that will re-shape the way we envision not only distressed properties, but how we can repurpose obsolete buildings and create new retail experiences. This vision and model strives to be a catalyst for what other neighborhoods can do with their obsolete, obscure and unassuming spaces that will ultimately transform the Detroit neighborhood retail experience. Yes. We’ve chosen the building that we own on W. Alexandrine just past the southern fringe of Detroit’s Midtown neighborhood. The reason we chose this site is because 1) It’s functionally obsolete. 2) Per the city’s zoning ordinance and other factors, it’s economically unfeasible to redevelop our property as a residential property, as it is currently zoned. 3) We firmly believe that it’s a unique idea and setting that can not only cater to the existing neighborhood, but expand the growth and progress of Midtown. Park Avenue businesses downtown, Mexicantown and Eastern Market. 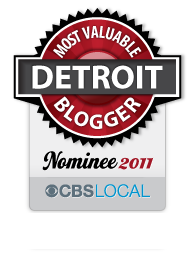 This entry was posted in Detroit, Food and tagged alley wine, business, detroit, entrepreneurs, hatch detroit, model d, next big thing, quicken, startups. Bookmark the permalink. Is Alley Wine new? I use to live in Detroit and some how never came across it. It hasn’t been built yet. We hope to open up summer 2012. Stay tuned!!! It is a new idea. It currently does not exist.If you follow the links in the story you can read more about their vision. Ah I see now and your welcome. I read “final four business ideas” but over looked it when I seen the time of opening. Which was more a concept idea. Sorry about that.